I've had credit at Smokingpipes and cashed in. Some to cellar (va and vapers from Newminster, Pease, Reiner and the new 507c) others to enjoy now (cigar leaf C&D blends and otc matches, G&H burley, SWRA, Dempsy). Some to smoke cause I see them a lot here-Picayune, Rimboche and 5 bros. 2 days from SC coast to NC mtns, impeccably packed. I am seeing some great smoking there. Dang, it was your lucky day! My 5 pounds of Three Sails arrived today. Nice tobacco for the money if you appreciate Virginia Shag. Oly crap...5 pounds? Out of my league! The tobacco was on sale and stores well in the factory packaging. I do tend to keep a little tobacco on hand. 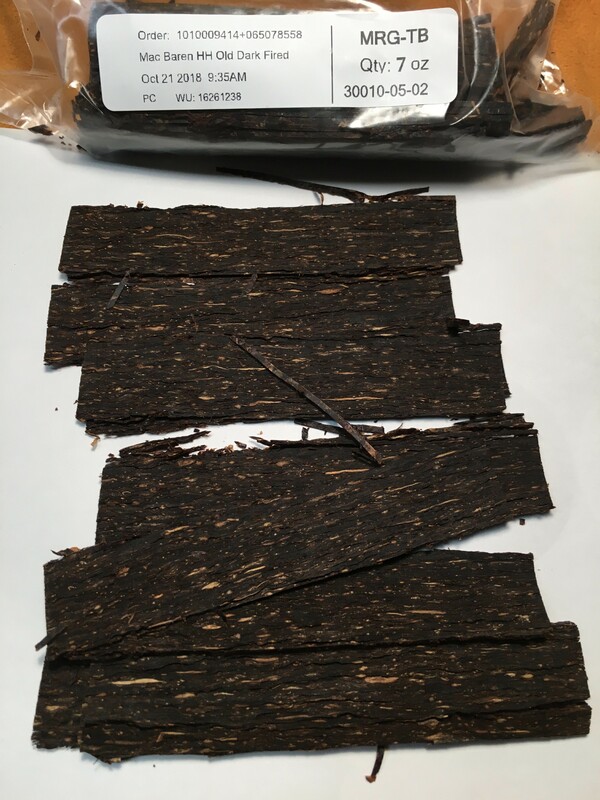 I ordered 7 oz bulk ODF ready rubbed from P&C; what I got is what you see in the picture. Not a horribly bad thing, it's just that I'd never tried it in the RR form and this doesn't look like RR to me...am I missing something? Sure looks like flakes to me!